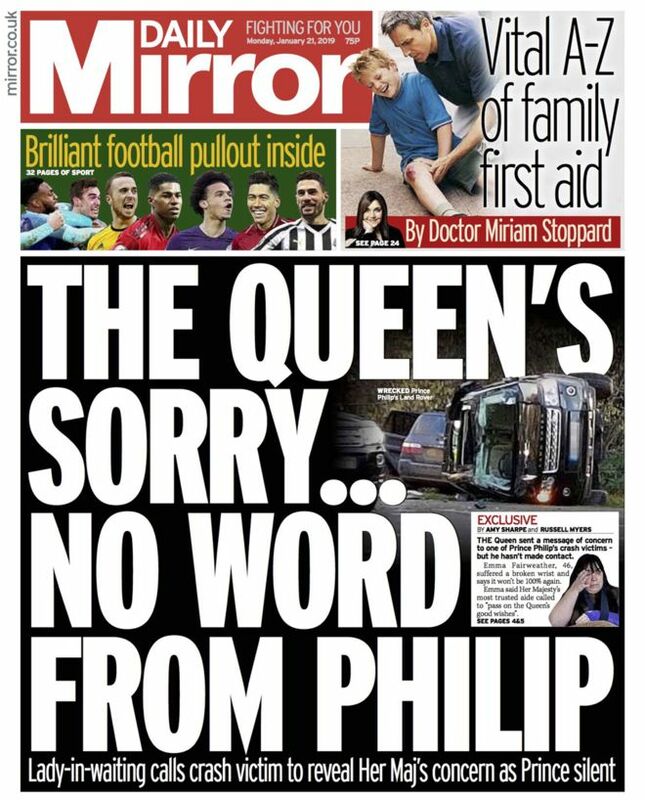 The Daily Mirror’s interview with Emma Fairweather, the woman injured in a collision with a car driven by Prince Philip, continues to make front-page headlines. Much to the tabloids’ disappointment, Fairweather doesn’t resemble Princess Diana in any way, other than her being female and a single mum. No word, then, from Mohamed Al-Fayed, just the relayed news that Her Majesty the Queen has sent “a message of concern” to 46-year-old Emma. The Duke of Edinburgh has not made contact, the paper says. So there you have it. Next time you’re in a car accident, don’t bother leaving your details in person or exchanging insurance details. Just get one of your spouse’s chums, preferably one on the payroll and well-rewarded for her servitude, to speak on your behalf.